Royal Caribbean has conformed with Cruise Hive that there was no fire and just circuit breaker had blown. According to reports and online discussions Jewel of the Seas had a very minor fire that did affect several parts of the Royal Caribbean cruise ship. The news first broke via popular message boards and on Cruise Law News where several users have been discussing about it. 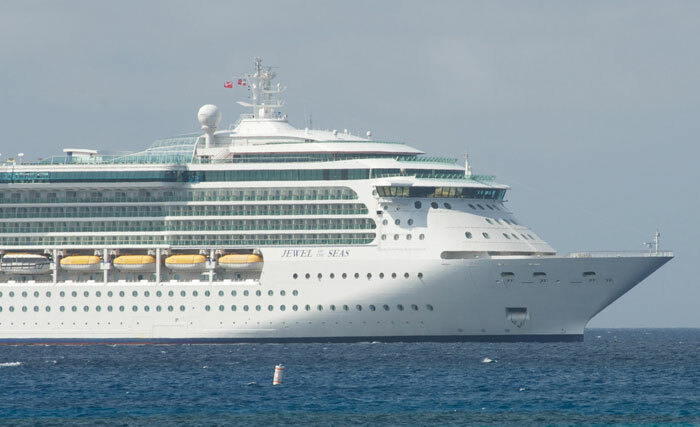 Apparently not long after Jewel of the Seas departed its port of call of Bridgetown, Barbados at around 5:30 in the evening a power breaker blew which caused a small fire. The fire seems to have been extinguished efficiently and with no injuries. I typed this while speaking to a friend who just got off the Jewel and called me from the airport. They reported that they were without power in some areas, the toilet didn’t work in their cabin, neither did the A/C, and the hallway fire doors closed so she was “trapped” in the hallway unable to get to the public toilets in the middle of the night until security showed up to open the doors. Some shows were canceled, shops closed and casino closed for a time. The Captain made an announcement shortly after, and then Dennis Charles made an announcement. Both announcements were during early seating dinner. Then more announcements were made up until around 9:30ish and then none until the next day. The poor waiters were sweating like crazy serving dinner with no A/C. Issues were resolved around 3:30 in the morning. The next day was a sea day, so no ports missed. This happened after they left Barbados, around 5:30, and the Captain chose to stay close to the island until the problem was resolved, then high-tailed it back to San Juan. Some people took pillows out to deck chairs to sleep because there was no A/C in the cabins. My friend didn’t sound too concerned about what happened. I’m sure she’ll come here and give her report when she gets back home from San Juan. I didn’t ask about compensation. As a result of the damaged Breaker some parts of the ship had no power. One of the main affected systems was the Air Conditioning that according to reports was off for around 5 hours. Also some toilet systems were still not working the following morning. Jewel of the Seas was sailing a 7-night Southern Caribbean cruise at the time and departed San Juan, Puerto Rico on January 31st. it does seem everything is back up and running as normal with no delay but this is yet to be confirmed. Cruise Hive has contacted Royal Caribbean and will update this post once we know the facts.